Connect is a fun, 4-level, multi-skills course especially written and designed for young adolescents. Motivation is fostered through high-interest topics, lively activities, and many opportunities for students to communicate about their own lives and experiences. The unit activities enable students to connect easily with each other in English, and the Theme Projects help students connect their English with the world outside the classroom. Connect Student's Book eight 14-page units divided into 2-page lessons. Four pages of each unit are review lessons. Each unit is accompanied by full-color photographs and illustrations. Also included are Learning Logs, which give students an opportunity to reflect on their progress, and Theme Projects, which enable students to use the unit language in a creative way. Download a sample chapter from Student's Book Level 1 in Adobe PDF. The Workbook is a natural extension of the Student's Book. It provides additional reading and writing reinforcement of the grammar and vocabulary for each lesson. 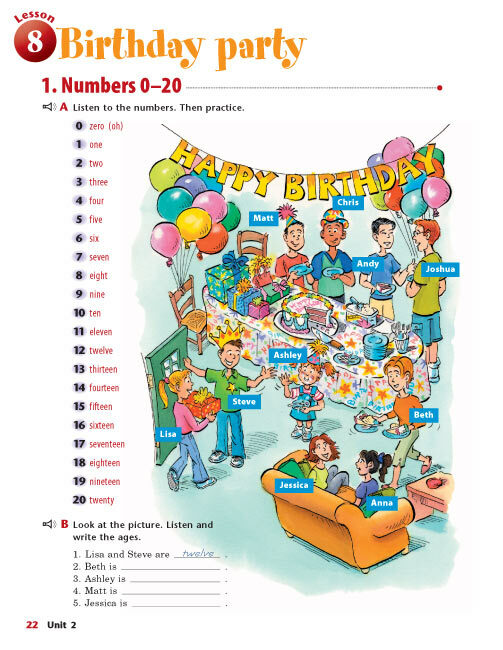 There is a corresponding page in the Workbook for each Student Book's lesson. A unique feature of Connect, Check Yourself provides an opportunity for students to evaluate their own performance - and prepares them for formal assessment provided in the Teacher's Edition. 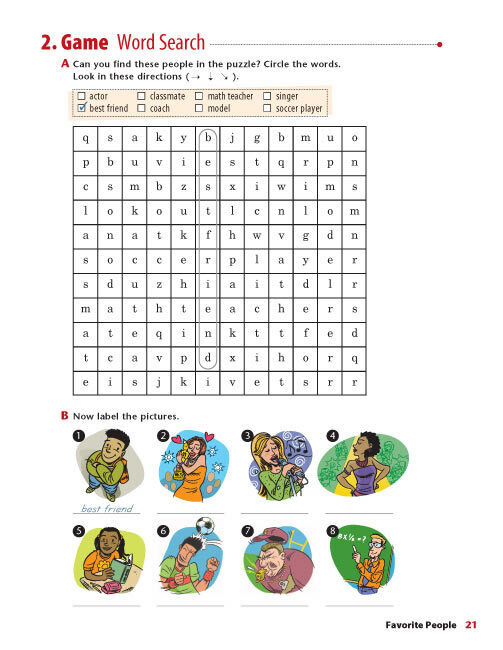 Download a sample page from Workbook Level 1 in Adobe PDF. A comprehensive, interleaved Teacher's Edition provides step-by-step instructions to help teachers' present, practice, and review each lesson. Download a sample chapter from Teacher's Edition Level 1 in Adobe PDF. The Class Audio Program includes recordings of the Vocabulary, Language Focus, Listening, and Reading activities from the Student's Book. "Listen and check" tasks. Students check their own work after grammar activities, encouraging their involvement in the learning process. Recordings are in natural, conversational American English. Download an mp3 audio sample from the Student Book 1.